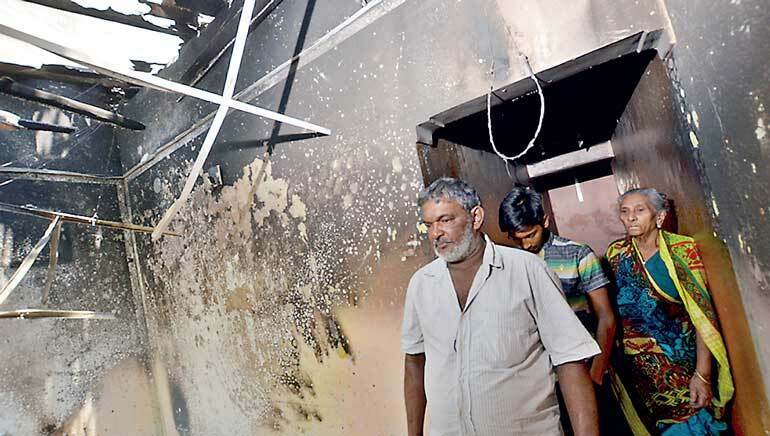 Communal riots emerged once again. It will emerge over and over again since we, those who govern and those who are governed, over and over again prove that we do not learn from the past mistakes. My first experience of communal riots was black July 1983. In the first day of the violence I was walking from the office I then worked at Fort Colombo to the Colombo Fort Railway Station. I will continue to have the memory of a man, half-naked, wounded, fallen by the side of the road, still alive and breathing heavily, whom I could not help. At that point members of the armed forces passed me in vehicles amidst cheerful applauses from the general public. Then administration delayed imposing curfew unduly and President Jayewardene addressed the nation after a few days. He charged the Tamil politicians, he charged the victims. I felt that the speech was disgraceful. A leader should not have spoken like that. He preferred to be with the dominant Sinhala Buddhist ideology prevalent at that time. I felt he was feared. However at that time he had full force of executive power with five-sixths majority of the Parliament and resignation letters of the MPs of his party in his pocket. Sri Lankan leaders acted in the same way on many an occasion. S.W.R.D. Bandaranaike in 1958, Mahinda Rajapaksa in the last regime and the President and the Prime Minister recently closed the stable door after the horse had bolted. 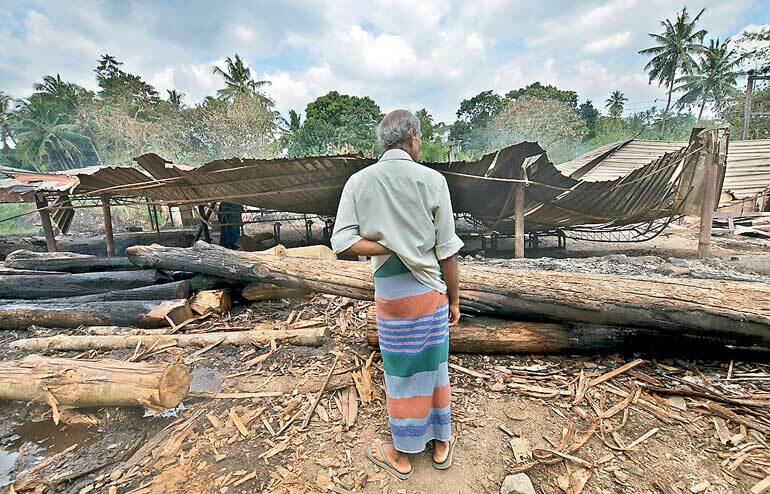 With great exceptions, armed forces and the Police, Buddhist clergy and the Sinhala Buddhist public opinion of this country worked in the same manner. It is a punishable offence to engage in hate speech. During the last regime Azath Salley was arrested for engaging in hate speech. When Buddhist clergy engaged in the same offence implementation of the law was much slower. Mahatma Gandhi conducted his last hunger strike demanding a stop to the violence against the Muslims during 1947 communal riots. There was resistance against him at the initial stages but later whole India became peaceful. There were several leaders who took bold decisions against the intentions of the people and against racism. Nelson Mandela invited the members of the previous apartheid administration to join hands amidst resistance from his own African National Congress. The world changes due to this type of men who march ahead of the people not behind them. His omission of Moors seems to be intentional but the point he raised that the armed forces and also the police should be comprising of all the communities proportionate to their strength was neglected by the successive governments. 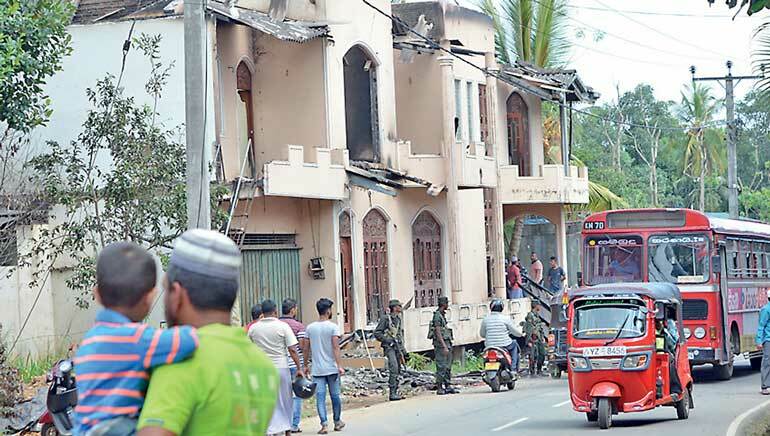 This is a strong reason for the Sinhala communal ideology of the armed forces and the Police. In recent times Buddhist Bhikkus have taken a prominent role in communal violence. If a Bhikku promotes communal violence he is a disreputable, despicable and idiotic person. Because he is engaged in an act which is completely against the teachings of the Buddha. Because he ruins Buddhism by his very act. Because he portrays a wrong picture of Buddhism to the world. Because he betrays the tradition which provides him with food, clothes, lodging and medicine. Some Bhikkus who lived in the past long years ago were also engaged in those activities and those were not emerged since they were then the oppressed and suppressed. Now they are the oppressors so that their despicable acts are highlighted. Anagarika Dharmapala communalised the Sinhala Buddhist public awareness. There were different associations for different communities during the independence struggle. Gunadasa Amarasekara identified the communalist ideology of Dharmapala as “Jathikachinthanaya”. This so-called ideology divided the nation rather than uniting it. In Indian independence struggle their leaders were able to unite the entire India. They fought against the concept of untouchables. Even after Jinna has taken away Pakistan there was a large number of Muslims in India. 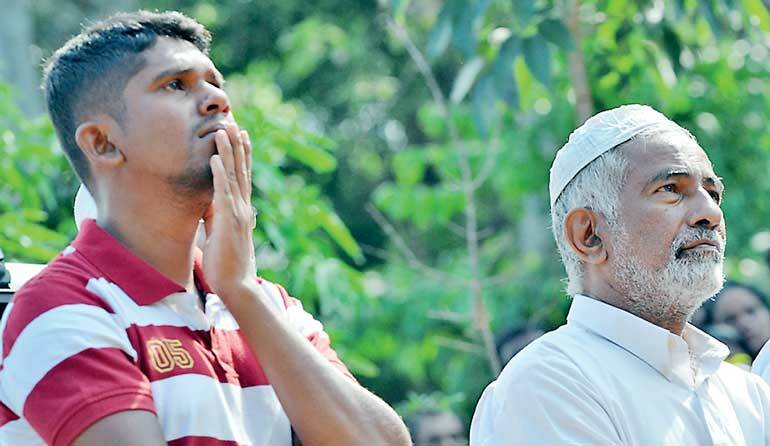 Prior to Anagarika Dharmapala Sinhala Buddhists did not have these attitudes of communalism. In Sri Lanka it was Sinhala Buddhists and their kings who protected Muslims against the Western nations who were engaged in a trade war and gave land in internal areas of Sri Lanka. That is why Muslims are concentrated in Kandy. It was Sinhala Buddhists and their kings who protected Roman Catholics from Dutch Protestants. That is why Pope Francis was able to canonise Joseph Vaz. While we debate whether to sing our National Anthem in Tamil as well the Canadian National Anthem which is sung in both English and French was voted to change by the Senate. The words at the end of the lyric “True patriot love in all of thy sons command” was changed to “in all of us command” in order to promote gender equality. Prime Minister Justin Trudeau spearheaded this. The world moves forward and we move backwards. Sinhala Buddhists turned Sinhala Buddhism into a religion and implemented separatism of the majority. Some of Sinhala Buddhists have abandoned their original religion which was Buddhism. Some follow Hindu gods. Therefore we should pray for them. Oh God, forgive them, for they don’t know what they should do. They don’t know by their ignorance they ruin the future of them, future of their children, future of the generations ahead and future of their beloved nation. Allow them to see the present moment mindfully.